Cranberries are native to North America and are so called because the flowers resemble cranes. NJ ranks 3rd in the nation in cranberry production. 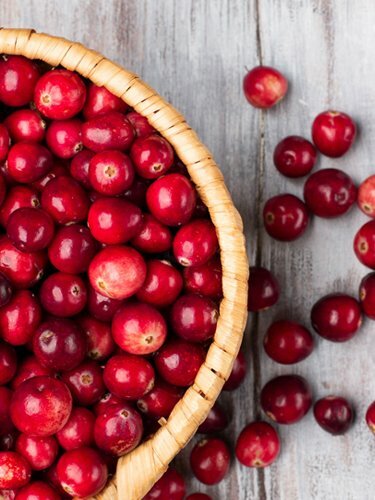 Choose cranberries that are firm and not shriveled or decayed. Refrigerate cranberries for up to 2 months or freeze for future use. Fat free, cholesterol free, sodium free and a good source of vitamin C and fiber.